The use of the word trespass in the title of this movie has three meanings which are all applied to the storyline – primarily as a religious quote from the Lord’s Prayer but also in its more modern meaning of being illegally on someone else’s property, or committing crime against a person. For religion and crime are intricately intertwined in this story of family betrayal. And family betrayal makes up that third meaning. It’s fair to say a great deal of the critical reaction to the film so far has been mixed. American critics simply didn’t get what it was about. The travelling community depicted in the film does not have the same type of cultural imprint as it does in the UK which seems to have left the US viewers slightly at a loss. It has also been described as a “gangster” flick, which to my mind is also pretty wide of the mark. Crime in this film is a factor, certainly, and very important one – but gangster flicks are generally about different gangs being at war, with the police trapped in the middle. And guns. Lots of them. Trespass Against Us is more of a small scale low budget rural drama, with a bit of ram-raiding thrown in, featuring Michael Fassbender as Chad Cutler an illiterate member of a community of travellers in the Cotswolds. His malaise and dissatisfaction with the limits of his life are what drive the story, the oppression of his father’s dogmatic regime and the desire to want to do something better for his children. The crime is important, certainly, but it is the background. The film paints a sympathetic but critical view of the anti-education and almost feral upbringing children seemingly receive in some travelling communities. Brendan Gleeson is Colby Cutler, the all powerful patriarch of the ramshackle collection of caravans stashed in a field, from where he throws down religious doctrine and dictates the next criminal activity. Respecters of no-ones property but fiercely loyal to their kin, the film focuses on whether Fassbender’s Chad can make a move from criminality for the sake of his long suffering wife Kelly (a superb Lyndsay Marshal) and children. It’s a move that would provoke huge rips in the fabric of the family unit. Anti-intellectual but someone whose brand of homespun (and ludicrously false) wisdom he doles out like food for the many dogs around the site, Colby is a relic. A ruler with a fierce power, but also one who is clearly perturbed that his heir does not desire the same things. The police are, of course, trying to catch and prosecute the family but having very little success. As the story is mostly from the Cutler family’s point of view the rural bobbies do at first come across as the sort of comically ineffective team depicted in Hot Fuzz before Sergeant Nicholas Angel arrives to shake things up. But as the film progresses Rory Kinnear’s character becomes more dogged and less comic, especially as a trespass against him carried out by Chad becomes clear. Gleeson is great, as is Fassbender – both speaking in a local Cotswolds accent which seems authentically chewy in their mouths (although I confess I have no idea if this is the case or not). Despite starting out in low-budget fare like this Fassbender is of course now regarded as a God amongst men as well as one of the most famous actors in the world. As such he automatically stands out from the grubby mud splattered community like a beacon – sympathy for his character despite some of the fairly horrible things he does is inevitably, and almost too easily, won despite his excellent performance showing the darker side. Sean Harris turns in a reliably odd performance as the kind of scrawny mentally damaged weirdo he seems to be required to play in everything these days, and Alan Williams and Anastasia Hille do fantastic work in their tiny cameos as patriarch of another family and primary school teacher respectively. The cinematography is a beautiful contrast of lost summer days and bleak concrete and rubbish, something the soundtrack by The Chemical Brothers does much to highlight. A sticking point of the film is the ending, which some may find unsatisfying. It leaves too many things unanswered, which is unfortunate. But the power of familial love, even when the other members are so clearly very wrong, is an intriguing starting point for a film that does mostly interesting things with it. 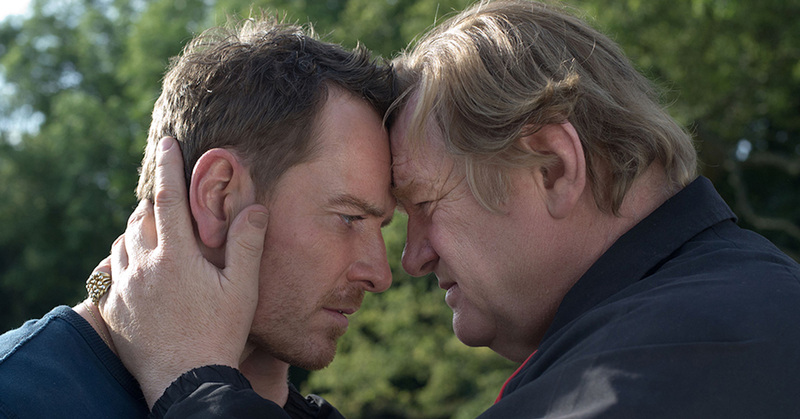 Trespass Against Us is out in cinemas on Friday 3rd March.